We believe in giving in back to our community by sponsoring and supporting various non-profit programs and charities. Vehicles for Change empower families with financial challenges to achieve economic and personal independence through car ownership and technical training. In 2014, we sponsored two cars that were donated to two families. St. Agnes Hospital is committed to caring for all people regardless of their ability to pay. In 2014, we sponsored a table at the Annual Spring Gala and sponsored the Annual Golf Tournament. Habitat for Humanity brings partners together to build decent, affordable homes that change lives, empower families and strengthen communities. In 2013, employees in Maryland, South Carolina and Pennsylvania worked on all stages of construction, including demolition, framing, painting, building fences and site maintenance. We also worked in the non-profit home improvement store. We support Suited for Change, a non-profit organization that provides low-income women with professional clothing and job-readiness workshops. The Wounded Warrior Project is a national organization that honors and empowers wounded warriors and their families. 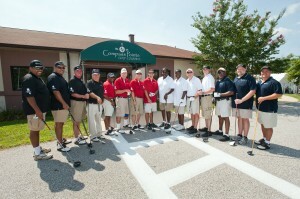 We raised $13,900 for the Wounded Warrior Project in 2012 and participated in the World’s Largest Golf Outing. Our Florida employees volunteered in a community food initiative as part of the Re-Entry Alliance Pensacola (REAP) program, which helps adult and youth ex-offenders re-enter society. Volunteers built a one-acre garden with 48 raised beds and planted crops. 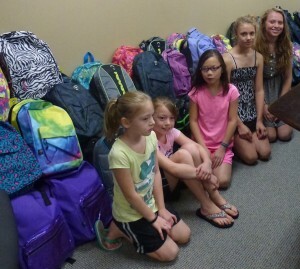 Each year, we donate new backpacks filled with new school supplies for students in Prince George’s County, Maryland. In 2012, we donated $3,000 worth of baby supplies to A Wider Circle, a Well Mother, Well Baby Program that operates throughout the Washington, DC metro area to prepare pregnant teens for a healthy pregnancy. The United Service Organizations delivers millions of care packages filled with items that U.S. troops use every day. In 2011 and 2010 in Fort Belvoir, Virginia, our employees stuffed canvas bags with travel-sized toiletries for U.S. military troops overseas. Project Linus provides love, a sense of security, warmth and comfort to children who are seriously ill, traumatized, or otherwise in need through the gifts of new, handmade blankets and afghans. In 2011, our employees made and donated 21 blankets. Since 2008, our Steamfitters Local 602 employees participated in the annual “Heat’s On – Water’s Off” project in Prince George’s County, inspecting, repairing and replacing heating and plumbing systems in homes for the elderly and disabled. Rebuilding Together provides extensive home rehabilitation and modification services to low-income homeowners in-need. 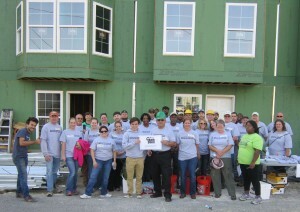 In 2009, our employees worked for a month to renovate a row house in Washington, DC.